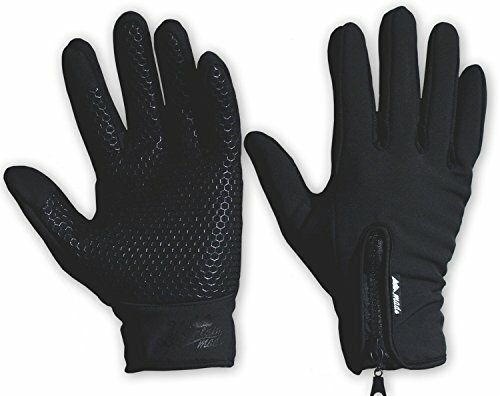 The best gloves to stay warm, active, and looking great all year long gloves with touchscreen for all cold weather activities: running, cycling, hiking, driving, skiing, outdoor adventure -mountain made thermal properties with touchscreen technology is the ultimate winter glove. -Breathable, comfortable, wind stopper, and multi-directional stretch fit. Size: medium, large, XL custom fit for both palm size and middle finger length in centimeters small = middle finger 7.5 cm, palm 9 cm -medium= middle finger: 8 cm, palm 9.5 cm -large= middle finger: 8.5 cm, palm 10 cm -xl = middle finger: 9 cm, palm 10.5 cm click the buy now button now during our lowest price of the season. Every pair of gloves is shipped in an individually designed protective pillow box. If you have any questions about this product by Mountain Made, contact us by completing and submitting the form below. If you are looking for a specif part number, please include it with your message.